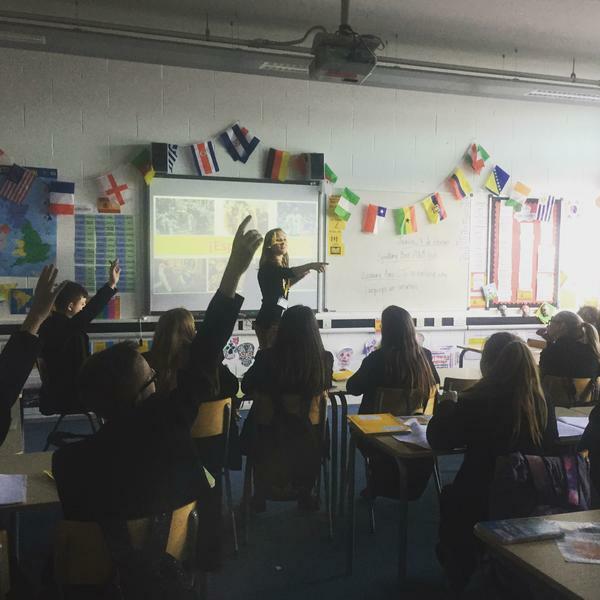 On Thursday 7th February, Year 7 Spanish classes were visited by Gina from the University of Bristol. Gina ran sessions on why languages are important and what it is like to study a foreign language at university. 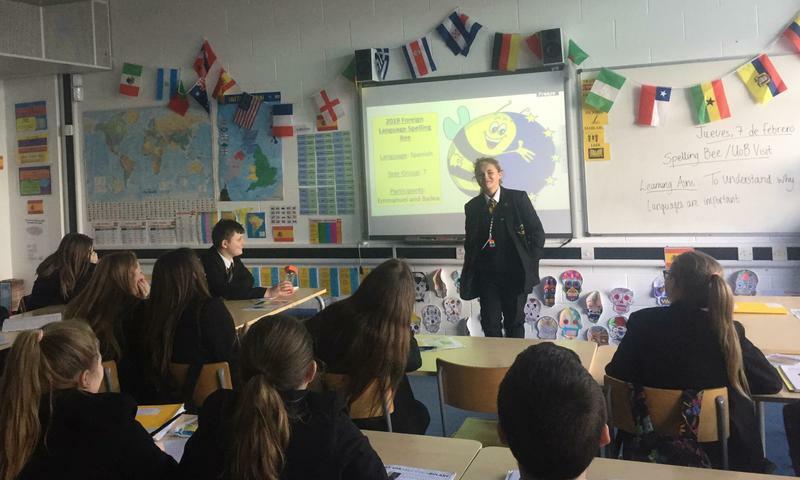 Year 7 also had the opportunity to participate in a quiz all about Spain and South America. Students were very well behaved, engaged and focused and Gina was very impressed with some of the questions she was asked by Year 7. 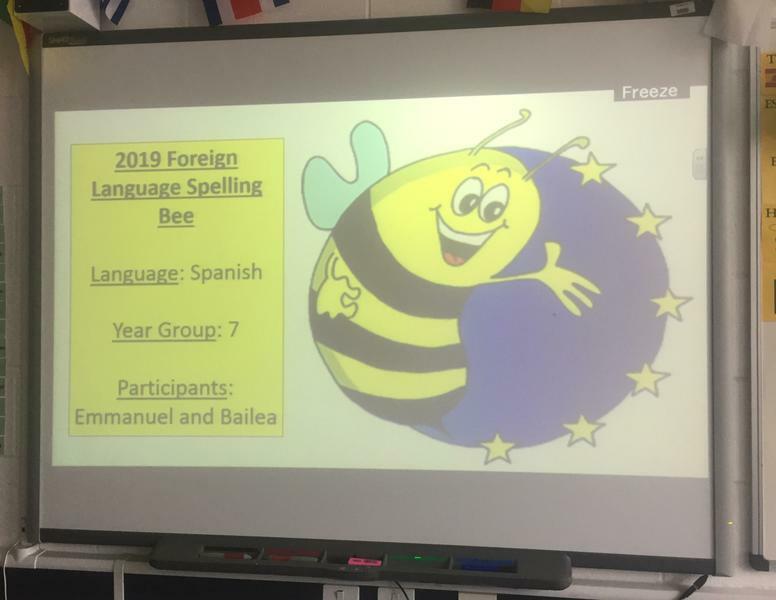 After Gina’s session, the second round of the Foreign Language Spelling Bee took place. Bailea in Year 7 was excellent and managed to achieve a great score! Well done, Bailea - an amazing achievement! 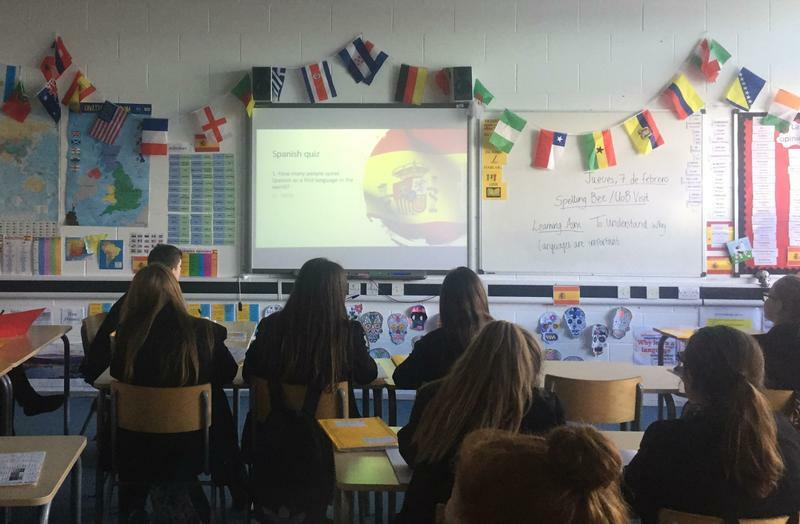 The FLSB second round will continue next week in class, with students from the other two Year 7 Spanish classes taking place. The students who win this round will be invited to the regional final in March. ¡Buena suerte!